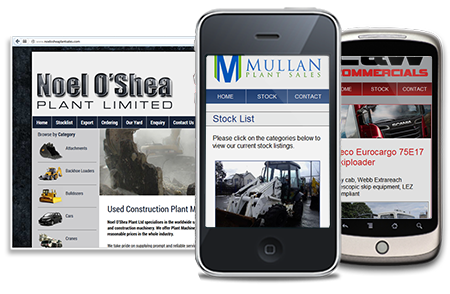 The rise of mobile browsing it is now essential to have a Mobile Web Version of your Website. Social networks account for 13% of traffic sent to other websites in the UK, playing a huge role in sending visits to content based websites. A fan page directly interacts with this huge potential customer base. SEO optimisations and search engine friendly URLs to help your online placement on Google listings and ensure that your customers can find your products and services. Built in Email marketing database enabling you to manage your own email marketing campaigns. "Thanks Glyn and all at Web Management Consultants. Top service, nothing is too much trouble. Love the site. I will definitely be recommending you and doing business with you in the future! No1 in website design and advertising!" "Good business to work with!" "A great company to deal with...Glyn and the team work well for you!!" "Glyn has provided Total Closure Traffic Management Ltd with a fantastic first website and it has given us a great platform to work within. Glyn has also been a pleasure to deal with on every occasion and I would recommend his services to anyone that required them"